Seeing the Midwest…. 8/22-24/05 | RV There Yet? From Minneapolis we headed south to Iowa. We stopped at the Winnebago Factory in Forest City but missed the tour. It was interesting though to see how that growing industry impacted that area. The reason we missed the tour was because we decided to stop for breakfast along the way (Leland Café – Home Cooking by Marcia), and were treated to seeing a group (covey?) 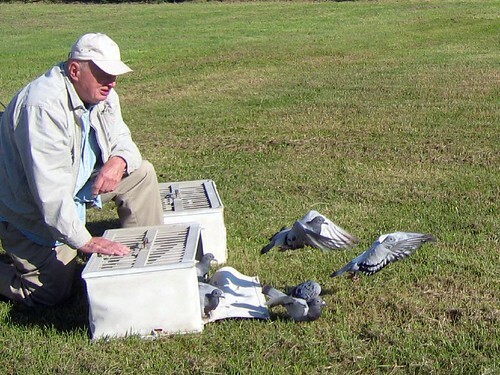 of homing pigeons being released. It was pretty cool – the bird handler told us how the timing is all done electronically these days. Here’s a shot of the release…. From there we were on our way to visit friends we hadn’t seen in probably 30 years. 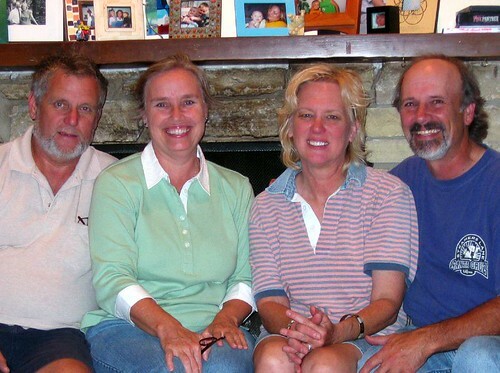 Dave and Becky moved to Iowa in the mid seventies, and none of us can remember if we ever saw each other after that. Needless to say, we had a lot to catch up with! While we were parked in their neighborhood, we took a trip to the Amana Colonies that is nearby. The “Amana’s” were a religious sect that believed in communal living. They maintained that lifestyle until 1932 when a huge fire along with growing dissatisfaction with communal living necessitated a change to a private ownership corporation. If you are ever in this area I recommend a visit here. We only got to see a small part of the community, but it was very interesting. 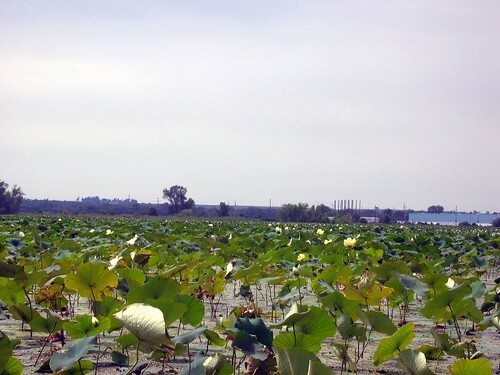 There’s a 160 acre lake there (Lily Lake) that is just packed with pond lilies – and in the fall is a major spot for eagles. The water is very low this year – but here’s a shot of Lily Lake. And here we are with Dave and Becky – I’m sure we’ll keep in touch better now! How did you manage to stay in touch all those years when you never saw each other at all?